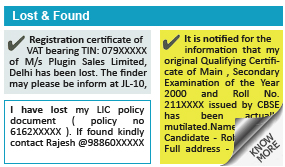 Why place Lost and Found Ad in Samaja Newspaper ? 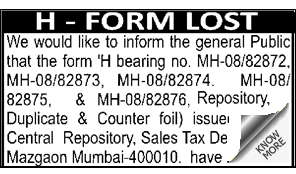 How To Book Lost and Found Ad in Samaja Newspaper ? When you choose the category, you are instantly taken to the rates & offers section for Announcement ads, to be published in Samaja.